Condominiums were introduced in response to the housing affordability crisis of the 1960s. Though the boom in condo construction did not temper the housing market as intended, some 50 years later condos remain one of the few in-roads for the legions of people locked out of the Toronto housing market. The Globe and Mail recently examined the growth of the condo market in Canada’s largest city, which continues to boast one of the country’s most challenging housing markets. The article traces the roots of the issue back to the 1970s, where it begins tracking the production of condos in the city. If condos were meant to stem the tide of rising house prices, clearly they have failed. Not only do prices in Toronto remain sky-high, but condos themselves are becoming a luxury few young people can afford. That production has continued to increase in spite of this failure demonstrates that the purpose of condos has shifted from the original intent. The 1990s marked the only decade in which condos were generally overlooked, and suffered from widespread vacancy and price drops. The recession, however, was short-lived, and production picked back up by ’97, which marked the prelude to the boom in the early 2000s. After a brief stall near the end of the decade, production and prices were back on the upswing in the post-2010 economy. For the past seven years, condo prices have, with some small exceptions, steadily risen. And rather than provide relief to those locked out of the housing market, many young Torontonians are just as frustrated by the increasing costs that have rendered the homes as a cheaper, though still expensive alternatives, to the perceived impossibility of home-ownership. 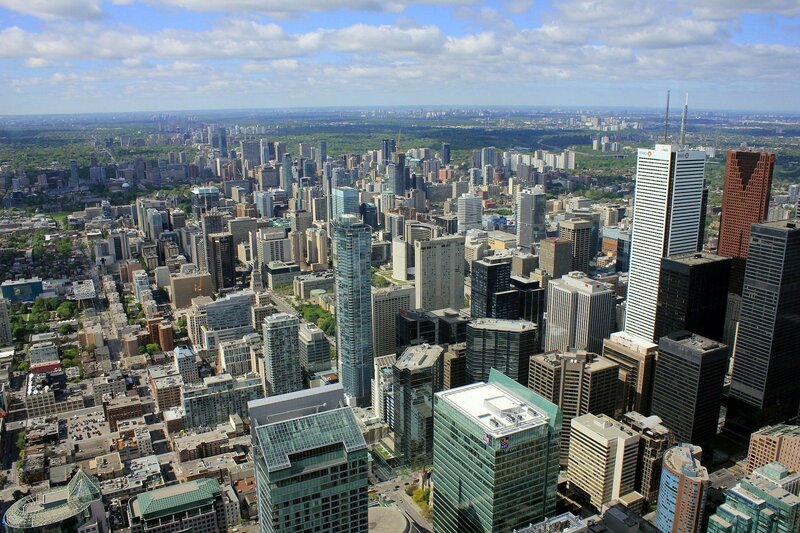 Recognizing condos to be an extension of, rather than a solution to the housing issue, the provincial government recently introduced a new set of mortgage rules that targeted condos alongside traditional housing options. But as the piece from the Globe illustrates, restrictions are unlikely to temper the ongoing rise of condos in Toronto, which has been building momentum since the ‘70s.